Are you inseminating your cows at the right time? 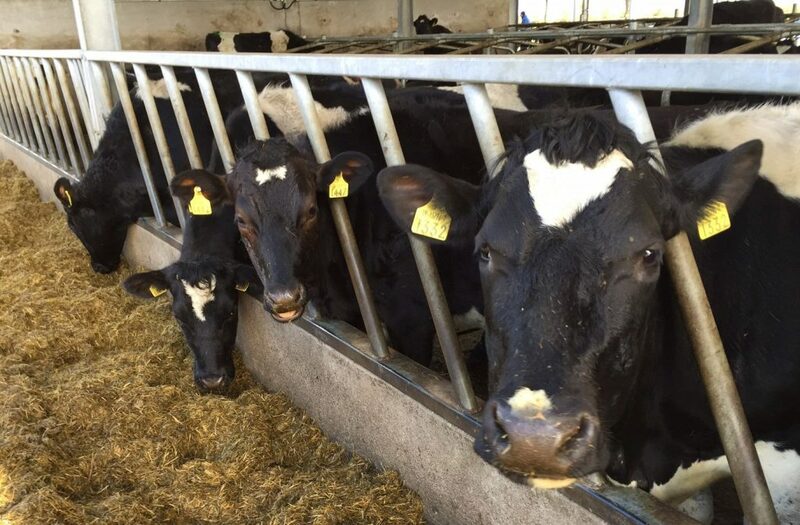 Censortec Ireland’s Nedap CowControl system catches the heats of millions of dairy cows every day and helps dairy farmers worldwide to improve reproduction results and labor efficiency. It automatically monitors the activity and tracks the signs of heat and health of all cows 24/7. Censortec Ireland is currently busy installing in multiple herds ranging from 50 up to 500 dairy cows throughout Ireland. “The reality in Ireland is that the average heat detection rates on the national herd in the first three weeks is 65% and the cost associated with a high submission rate and low pregnancy rate are extremely significant,” says Donagh Crowley of Censortec. Peace of mind with more control over your herd’s reproduction. PJ O Donoghue is farming with Censortec Nedap CowControl in north Cork. “It is like having a person looking after the cows for you, during that busy breeding season,” he said. Nedap Livestock Management is the global leader in farming automation using individual animal identification. Nedap’s easy-to-use technology helps farmers manage millions of dairy cattle and pigs 24 hours a day, in more than 100 countries. Censortec drafting systems are specifically designed and installed for each individual farm. The system can draft cows into multiple locations. The system is robust and hassle free. The main benefit of the system is the integration with Censortec Nedap CowControl. This will separate cows that need to be examined for health or heat detection reasons automatically based on the Nedap CowControl software. Integrating the drafting gate with the animal health monitoring systems is a huge labour saver during an extremely busy time on farm. All cows that need to be examined are penned automatically. There are only 1.5 mounts per hour per cow and each mount lasts 4-6 seconds. A cow’s heat lasts 6-8 hours. Collectively, these numbers tell us cows are in heat for one-third of the day and spend just 3-5 minutes standing to be mounted. That’s a very small window to catch a heat. Heat activity of cows tends to be lowest during feeding and milking times. Approximately 70% of mounting occurs between 7pm and 7am, when cows have limited distractions. That’s 70% of the herd coming into heat during the night-time. She simply may not be cycling (annovular). With an activity monitoring system, you can act proactively by finding these problem cows quicker, then solving the cause of the fertility problem or providing an effective treatment to resolve it – ultimately, getting them bred faster. “Inseminating cows at the right time matters to your dairy’s bottom-line, so it’s important to catch cows in heat when it’s most productive to breed them,” says Sean Crowley. “Activity monitors are a tool to track heats 24/7 so you don’t have to spend time watching for heats or worry about missing a heat. However, to catch cows in heat, cows need to physically show their heats. Having appropriate environmental and management protocols in place will help ensure you never miss a single heat. To learn more about heat detection with activity monitoring systems and how they can help your farm reach its productivity goals, visit: www.censortec.com. As it is well documented at this stage, each missed heat can cost an Irish dairy farmer a minimum of €250. The system is extremely accurate and indicates to the farmer the optimum time for insemination; therefore boosting submission rates and reducing the calving interval. The system monitors the herd with regards to eating and rumination, allowing the farmer to act quickly with regard to sick cows and therefore significantly reducing veterinary costs. If the percentage of sick cows in the herd is reduced it will also mean more milk in the tank. Reduction of bulls on a farm has a significant cost benefit but can also make your farm a much safer place. Censortec Ireland is a southern-based company with a combined experience of over 50 years in the agricultural technology sector. Call Censortec today on: 086-8592968; or visit the website at: www.censortec.com.